We at M.J. O'Nions have an opening for an Articling Student position beginning January 2019. The student will receive hands on training in the areas of law in which our firm practices: Family Law, Wills & Estates Law and Business Law. For further information, please visit our website at: www.mjonions.com. The student will also receive practical training in drafting legal documents, assist senior counsel in court and deal with some client interactions including interviewing witnesses, reviewing corporate transactions, dealing with correspondence, etc. The ideal candidate will be proficient with Office and Windows 10. A strong command of the English language is essential. You must be very detail oriented and able to make and meet timelines. You must be proficient in general office procedures. Knowledge of HotDocs, WordPress and QuickBooks are an asset. If you meet the above qualifications please submit your resume, cover letter and transcripts. 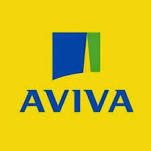 Applications will be assessed on a rolling basis and we recommend applying as soon as possible. Articling Student Company Profile: PCK website: www.pckip.com PCK is a leading Canadian intellectual property practice founded by Stephen Perry and Andrew Currier, recognized thought leaders in Canadian Intellectual Property Law. 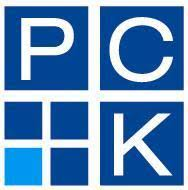 PCK comprises two firms: Perry + Currier Inc., a patent and trademark agency, and Currier + Kao LLP, a law firm regulated by the Law Society of Upper Canada. 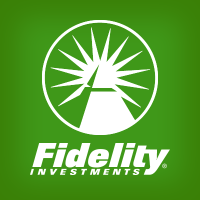 The two firms operate as separate practices due to local regulatory requirements. Perry + Currier Inc. is a leading Canadian patent and trademark agency, serving clients worldwide on all aspects of IP procurement and portfolio management. Currier + Kao LLP is a first-in-class boutique IP law firm, offering a full range of legal services relating to IP law, including patent prosecution, counseling, opinions, and litigation. These two great practices are reflected in a single brand: PCK. Our advice is strategic, practical and supportive of your overall business objectives. Position Your Articling Principal will be Andrew Currier, cofounder of PCK and CEO of Perry + Currier Inc. The Articling Student will perform professional legal work and provide timely legal assistance on intellectual property matters and general legal matters. Key Responsibilities Assist in patent prosecution matters including drafting patent applications, preparing office action responses, and conducting prior art searches Researching and writing on recent case law relating to developing issues in intellectual property for Canadian Patent Law, 3rd edition, and for the company website blog, the PCK IP Reporter Provide legal research support for intellectual property litigation matters from time to time Participate in startup client outreach and provide pro bono legal services including participating in seminars relating to intellectual property Attend client intake meetings and invention disclosure sessions Draft and review other legal documents as required for lawyers and patent agent, and trademark agents Conduct legal research and maintains awareness of current provincial and federal legislation and regulations that may impact PCK clients Any other tasks that may be assigned Qualifications: Registered as a candidate for the Licensing Process under the Law Society of Upper Canada Technical background in engineering or the sciences; electrical, mechanical, and computer engineering preferred Demonstrated interest in intellectual property, particularly in patent law Strong analytical and problem solving skills Strong written communication skills with the ability to structure information clearly, concisely, and logically, in technical writing, persuasive writing, and informative writing Strong oral communication and client management skills, with the ability to assess a client’s legal situation, ascertain client objectives, identify relevant legal issues, and to communicate information clearly and concisely; hands-on legal client interaction experience preferred Ability to work both independently and as part of a team of lawyers, patent and trademark agents, and law clerks Please submit your resume and cover letter onlineno later than December 1st , 2018. PCK is an equal opportunity employer committed to creating a diverse environment for all employees and job applicants. Accommodation is available on request for candidates taking part in all aspects of the selection process. We thank all applicants for their interest, however, only those selected for further consideration will be contacted. Please select the application link for more details. We are a Personal Injury Law Firm looking for a dynamic and personable individual to join our team. We welcome candidates available for a full-time articling position starting in the spring of 2018. We are seeking candidates with strong communication, analytical and research skills who can work in a team and independently in a fast-paced environment. During your articling experience you will be: Prepare file review memos and settlement proposals Draft court documents including motion materials, factums, and pleadings Provide research to lawyers Conduct witness interviews Interact with clients Attend motions and trial scheduling court hearings Attend examinations for discovery, mediations, and pre-trials for observational purposes Receive training and support towards your professional development Gain experience in representing clients Please be advised that this is an unpaid position. However, the firm will cover travel expenses and if the articling year is completed, the firm will cover your Bar Exam Fees. We would like to thank all applicants for their interest in opportunities with us. Only those candidates under consideration will be contacted. If you are interested in this fantastic opportunity, please apply online and contact Krisztina Alves at kalves@jrjlaw.com . The Region of Durham , dedicated to maintaining outstanding standards of service, relies on the expertise and commitment of our employees. You’d be surprised at the diverse career choices we have to offer! If you seek a career with growth and challenge, where quality and accountability work in tandem with integrity and a responsiveness to change, we welcome you to learn more about us. ARTICLING STUDENT – JOB ID 10094 The Corporate Services Department - Legal Services is seeking an Articling Student to commence a 10- month placement in July 2018. Functioning under the direction of the Director of Legal Services and seven other staff lawyers at the Region, the Articling Student will engage in a broad range of legal matters and policy issues. The Articling Student will participate in a unique joint placement with some area municipalities within the Region, spending a portion of the 10-month placement at those locations and under their direction. 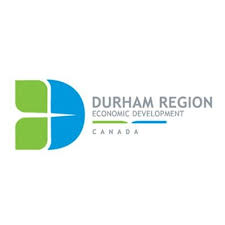 Approximately six months will be spent at Regional Headquarters in Whitby, and two months at two area municipalities each. Under the supervision of staff lawyers, the Articling Student will: Provide legal research and writing support for staff lawyers Appear before various courts and administrative tribunals, such as Small Claims Court, Landlord Tenant Board, Ontario Municipal Board, and Human Rights Tribunal of Ontario Work in diverse areas of law such as municipal, litigation, land use planning, real estate, administrative, contract, environmental, health, privacy, construction, human rights, labour and employment, and prosecutions Assist in the preparation of pleadings, affidavits, facta, contracts, document books, policies, reports and correspondence Draft legal memoranda on a wide variety of issues Meet with clients in order to provide legal advice/opinions and to develop strategies to manage litigation files Work on real property transactions and expropriation matters The successful candidate must: Possess a Bachelor of Laws or Juris Doctor degree from an accredited law school or equivalent Be engaged in the completion of, or have successfully completed the Bar Admission Examinations of the Law Society of Ontario Possess excellent advocacy, interpersonal and communication skills (written and verbal) Demonstrate strong research and problem-solving skills Be willing to travel within the Region; a driver's licence and access to a car are assets, but not mandatory Professional Student Rate: $28.78 per hour To learn more about this opportunity, apply online at The Regional Municipality of Durham website to Job ID 10094 no later than March 25, 2018. We thank all applicants; however, only those to be considered for an interview will be contacted. An Equal Opportunity Employer Note: If you require accommodation at any time throughout the application process, or if this information is required in an accessible format, please contact us at Recruiting Help and a Consultant will provide appropriate assistance pursuant to the Region's Accommodation and Accessibility policies. Please note that resumes should not be sent to Recruiting Help. Articled Student Ministry of Attorney General Salary is $1,912.67 bi-weekly 17 positions available Articled Student Program - Notice of Articles The British Columbia Ministry of Attorney General offers interesting and varied articles at its offices in Victoria and Vancouver, and in Crown counsel offices around the province. The ministry will be interviewing soon for articled student positions starting in 2019. Further information about the Articled Student Program is available at: http://www2.gov.bc.ca/gov/content/justice/for-legal-professionals/articled-student-program . Students select rotations through areas of practice such as: • B.C.’s Prosecution Service (Crown counsel) • B.C’s Prosecution Service (Criminal Appeals and Special Prosecutions ) • Justice Services Branch (Dispute Resolution Office) • Justice Services Branch (Civil Policy and Legislation Office) • Health and Social Services Law • Resource, Environmental and Land Law • Constitutional and Administrative Law • Indigenous Legal Relations • Finance, Commercial and Transportation Law • Office of the Assistant Deputy Attorney General • Civil Litigation • Legislative Counsel • Revenue and Taxation Law • Justice and Education Law Application Deadline 4:30 p.m. Pacific Standard Time, Wednesday, February 28, 2018. Who Can Apply Anyone who is entitled to work in Canada as of May 1, 2019 and is eligible and required by the Law Society of British Columbia to complete articles in order to practice law in B.C. How to Apply **Applications made online through this website will NOT be accepted. ** You must visit http://www2.gov.bc.ca/gov/content/justice/for-legal-professionals/articled-student-program/applying-for-articles and see attachments for information on how to apply for these positions. Late or incomplete applications may not be considered. Complete the application form available from Jan. 15 to Feb. 28, 2018 at http://www2.gov.bc.ca/gov/content/justice/for-legal-professionals/articled-student-program/applying-for-articles; or at your law school; or from Rachel Simunkovic: Rachel.Simunkovic@gov.bc.ca. Deliver to the location listed on the application instruction sheet: • the application form, together with: • a cover letter; • a copy of your law school (LLB/JD) transcript; and • your résumé (not to exceed three pages). • If you completed law school outside of Canada, you must also provide us with documentation showing that either you are pursuing a Certificate of Qualification from the National Committee on Accreditation or have been granted the certificate. You will need to have been granted that certificate by May 1, 2019. Who to Contact with Questions Heidi Hynes, Manager of the Articled Student Program at 250 356-8473 or Heidi.Hynes@gov.bc.ca Interviews - When Legal Services Branch: Written interviews March 26 – March 29, 2018; In person/by videoconference Round April 23 – April 27, 2018 Criminal Justice Branch: Written interviews March 26 – March 29, 2018; In person/by videoconference April 23 – April 27, 2018 Interviews - Where Victoria, Vancouver or by teleconference for applicants in other locations. How Many Positions Legal Services Branch: Seven in total; one or two in Vancouver and the rest in Victoria. All positions are civil-focused, with the option of spending six to eight weeks with the Criminal Justice Branch. One of the positions in Victoria is open only to Indigenous Canadian students. Criminal Justice Branch: Ten positions throughout B.C. at B.C.’s Prosecution Service, with the option of rotations of two to three months with the Legal Services Branch. Indigenous Canadian Students The Ministry of Attorney General is particularly interested in receiving applications for all positions from Indigenous Canadian law students. One articled student position with Legal Services Branch is open only to students who identify as Indigenous Canadian. For more information, contact Heidi Hynes. B.C.’s Prosecution Service / Criminal Justice Branch This is an articled student experience primarily devoted to the practice of criminal law in a Crown counsel office. Students will be based in one of eight Crown counsel offices throughout the province. The application materials must clearly indicate that the applicant has successfully completed, or will enroll in, a Canadian evidence course and a Canadian criminal law course, or has related experience in Canadian criminal law. Preliminary shortlisting for all positions may be done based on law school grades and the clarity and completeness of application materials. Applicants selected for an interview may be asked to provide further documentation at that time, including confirmation of law school grades and references. All applicants will be contacted by mail or email. Successful applicants will be required to undergo criminal record checks. Successful applicants for positions with B.C.’s Prosecution Service will also be subject to Enhanced Security Screening.